START YOUR FAMILY LEGACY ON THIS ONE OF A KIND 10 ACRE LOT WITH 263+- FEET OF PRIME LAKE FRONTAGE WITH THE BEST LOCATION ON THE WHITEFISH CHAIN. THIS . . .
SUNDANCE RIDGE IS LOCATED ON BEAUTIFUL CROSS LAKE OF THE WHITEFISH CHAIN LOCATED APPROX. 30 MINUTES NORTH OF BRAINERD. THERE IS A RECREATION BUILDING WITH AN . . .
SUNDANCE RIDGE IS LOCATED ON BEAUTIFUL CROSS LAKE. THESE LUXURIOUS UNITS ARE JUST 30 MINUTES NORTH OF BRAINERD, ON THE PRESTIGIOUS WHITEFISH CHAIN OF LAKES. . . .
NEW CONSTRUCTION, GREAT FLOOR PLAN! IT'S HARD TO FIND A PLACE THIS NICE ON THE WHITEFISH CHAIN WITH ALL OF THE AMENITIES THIS TOWNHOME HAS ESPECIALLY AT THIS . . .
COME, RELAX AND ENJOY THIS BEAUTIFUL LAKE BERTH HOME ON THE WHITEFISH CHAIN OF LAKES. THIS HOME IS IN A GREAT LOCATION AND CLOSE TO GOLFING, SHOPPING, . . . BEAUTIFULLY WOODED, PRIVATE LOT IN THE HEART OF CROSSLAKE. THIS PROPERTY INCLUDES A CIRCLE DRIVE, CLEARED BUILDING SITE, 30 X 24 GARAGE WITH ELECTRIC, DEEP . . . LOOKING FOR A DREAM LAKE HOUSE? IF YOU ARE THEN YOU NEED TO TAKE A LOOK AT THIS AMAZING 7.26 ACRE LAKE ESTATE SITUATED ON 185 FT OF EXCELLENT SAND BEACH ON . . .
ONE OF THE MOST PRESTIGIOUS PROPERTIES IN THE STATE OF MINNESOTA. THIS ONCE IN A LIFETIME COMPOUND HAS A MAIN HOUSE FEATURING SIX BEDROOMS, SIX BATHS, FIVE . . .
EAGLE POINT IS AN OPPORTUNITY TO OWN A ONCE-IN-A-LIFETIME LEGACY PENINSULA ON PRESTIGIOUS WHITEFISH LAKE. THIS PRIVATE, GATED ESTATE HAS OVER 1,500 FEET OF . . . MAGNIFICENT 78 ACRE PRIVATE ESTATE HAS 300 FEET OF PERFECT SAND BEACH ON THE NORTH SHORE LOWER HAY LAKE OF THE WHITEFISH CHAIN OF 14 LAKES. THE MAIN HOME . . .
RETREAT TO THE TOTALLY PRIVATE ESTATE SETTING OF THIS 4 BEDROOM 3 BATH WHITEFISH LAKE RETREAT WHICH BOASTS 457 FT OF PRIME SAND FRONTAGE, 5.49 ACRE LOT, . . . SPECTACULAR ONCE IN A LIFETIME OPPORTUNITY PROPERTY HAS THE BEST COMBINATION OF SETTING AND HOUSE DESIGN YOU CAN FIND ON THE EAST SIDE OF THE WHITEFISH CHAIN. . . .
TAKE IN STUNNING LAKE VIEWS FROM THIS EXCEPTIONAL 6 BEDROOM 7 BATHROOM LOWER HAY LAKE HOME WHICH BOASTS 165 FT OF SAND FRONTAGE AND 1.3 STUDDED ACRES. . . .
MUST SEE THREE BEDROOM, TWO BATH LOG HOME LOCATED ON CROSS LAKE. PROPERTY HAS MAIN HOME WITH TWO SEPARATE GUEST HOMES. THE MAIN HOME FEATURES A GREAT OPEN . . .
LIFE IS BETTER AT THE LAKE. AND WITH 131 FEET OF WATERFRONT, SAND SHORELINE AND PICTURESQUE SOUTHERN VIEWS OF CROSS LAKE, THIS LUXURIOUS 6 BEDROOM, 6 BATH . . .
MUST SEE WHITEFISH CHAIN LAKE HOME WITH UNSURPASSED SAND BEACH AND PERFECT LEVEL ELEVATION. THIS 8 BEDROOM 5 BATHROOM ESTATE IS PERFECTLY SUITED FOR A FAMILY . . .
FABULOUS POINT LOT W/OVER 450' OF PERFECT ELEVATION &AMP;AMP; SAND SHORELINE ON CROSS LAKE. BERCHER CONSTRUCTION CUSTOM BUILT 4BR/4BA HOME FEATURES MAGNIFICENT . . . ENJOY THE SUPER INSULATED LOG HOME BUILT BY WES HANSON, FEATURING MASSIVE LOGS ON BOTH INTERIOR AND EXTERIOR, NESTLED IN A PRIVATE WOOD SETTING. PERFECT FOR . . .
BEAUTIFUL CUSTOM HOME ON DAGGETT WITH WESTERN EXPOSURE, SUMMER BREEZES, GRADUAL ELEVATION TO SANDY SHORE. ATTENTION TO DETAIL THROUGHOUT WITH MAIN FLOOR MASTER . . . ENJOY PRIVATE VIEWS TO LAKE FROM THIS TIMELESSLY DESIGNED 3 BEDROOM 4 BATH HOME THAT SHOWS AS NEW. BEAUTIFUL LANDSCAPING LOT BOASTS 117 FT OF SAND FRONTAGE ON . . .
GORGEOUS LAKE HOME LOCATED ON THE GOLD COAST OF BIG TROUT LAKE WITH PERFECT ELEVATION TO A BEAUTIFUL SAND BEACH. THIS HOME TAKES FULL ADVANTAGE OF AMAZING LAKE . . .
MUST SEE GATED EXECUTIVE LOG HOME WITH GUEST CABIN ON CROSS LAKE. HOME FEATURES CUSTOM CABINETS, GRANITE COUNTER TOPS, HARDWOOD FLOORS, STAINLESS STEEL . . . BEAUTIFULLY BUILT 4 BDRM 3 BATH WHITEFISH LAKE HOME SITUATED DIRECTLY ON THE WATERS EDGE OF PRIVATE LOT THAT BOASTS 100 FT OF PERFECT SAND FRONTAGE, BEAUTIFUL . . .
PRIME UNDEVELOPED PIECE OF PROPERTY IN GOD'S COUNTRY! BUILD YOUR DREAM LAKE ESTATE OR UP NORTH RETREAT AMONG THE TOWERING PINES! TAKE IN THE SUNSET &AMP;AMP; . . . STUNNING LOG SIDED HOME WITH AMAZING VIEWS. SOLD FULLY FURNISHED AND BEAUTIFULLY DECORATED – FANTASTIC LANDSCAPING, COPPER GUTTERS, SOARING ROOF LINES AND . . . STUNNING RUSH LAKE LOG HOME FACING WEST ON LOW ELEVATION WITH SAND BEACH! ENJOY ARCHITECTURAL DETAILS THROUGHOUT. PLENTY OF SPACE INSIDE AND OUT FOR . . . THIS CUSTOM BUILT WES HANSON HOME IS IN IMMACULATE CONDITION. ENJOY THE OPEN FLOOR PLAN WITH VAULTED CEILINGS WITH NATURAL SUNLIGHT FLOWING INTO EVERY ROOM. . . . SITUATED ON THE QUIET END OF WHITEFISH LAKE IS THIS WELL-APPOINTED 5 BEDROOM 3 BATH HOME WHICH BOASTS 107 FEET OF EXCELLENT BEACH, LOW ELEVATION, MATURE PINES . . . BUILD YOUR DREAM LAKE HOME ON THIS PRIME BUILDING SITE ON LOWER WHITEFISH LAKE OF THE FAMOUS WHITEFISH CHAIN. PRIVATE 1.10 ACRE LOT OFFERS 258 PLUS FT OF LOW . . .
RETREAT FROM THE MODERN WORLD TO THIS UP NORTH FEEL 4 BEDROOM 3 BATH LOWER HAY LAKE HOME THAT IS TUCKED AMONGST THE PINES ON 150 FT OF SAND FRONTAGE. PRIVATE 1 . . . SPECTACULAR 4 BEDROOM 4 BATH 5400 SQ FT HOME HAS 100 FEET OF EXCELLENT SAND FRONTAGE ON WHITEFISH LAKE. STUNNING LANDSCAPED LOT BOASTS A SUGAR SAND BEACH, . . .
RETREAT TO THIS REMARKABLE WHITEFISH CHAIN PROPERTY WHICH BOASTS STUNNING PANORAMIC LAKE VIEWS, 394 FT OF SAND FRONTAGE ON LOWER WHITEFISH LAKE AND IS SITUATED . . .
RETREAT FROM THE MODERN WORLD TO THIS CROSS LAKE 4 BEDROOM 4 BATH LOG SIDED HOME SITUATED ON 110 FT OF SAND FRONTAGE IN THE EXCLUSIVE ARROWHEAD LANE . . . INCREDIBLE ONCE IN A LIFETIME OPPORTUNITY TO BUILD YOUR OWN EXECUTIVE RETREAT ON WHITEFISH LAKE. LOT FEATURES 309 FEET OF LEVEL SHORELINE, EXCELLENT SAND LAKE . . .
NESTLED UNDER THE PINES IS THIS ARTS AND CRAFT STYLE 3 BEDROOM 4 BATH HOME SITUATED ON SAND FRONTAGE ON BIG TROUT LAKE. WELL-APPOINTED HOME BOASTS THAT . . . IMAGINE A TRANQUIL WHITEFISH CHAIN RETREAT SET IN A CENTRAL SETTING ON WHITEFISH LAKE, LOCATED ON DESIRED PIG LAKE. BEAUTIFUL PIG LAKE IS LOCATED DIRECTLY OFF . . .
VINTAGE STYLE CABIN W/MODERN AMENITIES, GUEST HOUSE, BOAT HOUSE, GARAGE &AMP;AMP; GARDEN/TOOL SHEDS. PRIVATE LOT W/150' OF SHORE ON TROUT LAKE OF THE WFC . . . ENJOY ALL THE WHITEFISH CHAIN HAS TO OFFER!!! THIS PROPERTY FEATURES 100' OF LEVEL ELEVATION ON LITTLE PINE LAKE/WFC WITH A BEAUTIFUL SAND BEACH!! INSIDE THIS . . .
ONE OF THE BEST SPOTS ON RUSH LAKE OF THE WHITEFISH CHAIN CAN BE YOURS. WEST FACING 100 FT LOT BOASTS A ONE OF KIND BOATHOUSE AT THE WATERS EDGE WHICH HAS A . . .
MID-CENTURY MODERN DESIGN ON THE WHITE FISH CHAIN. ONE-FAMILY OWNED SINCE 1943. ARCHITECTURAL BUILT IN 1961 AND FEATURED IN BETTER HOMES AND GARDEN MAGAZINE. . . . OPPORTUNITY KNOCKS WITH 5 VERY WELL APPOINTED STRUCTURES &AMP;AMP; HUGE LOT ON THE WFC. REMODELED 4BR, 3BA WALKOUT HOME, LARGE ADDITION ONLY A FEW YEARS OLD. . . . THIS IS PROBABLY THE VERY BEST VALUE AND LOCATION ON ALL THE WHITEFISH CHAIN OF LAKES. IT'S ON THE BIG WATER OF WHITEFISH YET CLOSE TO ALL THE GREAT HOT SPOTS . . .
NESTLED RIGHT IN THE HEART OF CROSSLAKE IS THIS 2 BEDROOM 3 BATH CROSS LAKE HOME WHICH BOASTS 128 FT OF EXCELLENT SAND FRONTAGE, GRADUAL ELEVATION AND WESTERLY . . .
FEEL CONNECTED TO THE WHITEFISH LAKE THE MOMENT YOU WALK INTO THIS 3 BEDROOM 3 BATH TOWN HOME SITUATED IN THE PRESTIGIOUS LAKE COUNTRY ASSOCIATION WHICH SHARES . . .
BEAUTIFUL FULL LOG HOUSE ON LOWER HAY LAKE OF THE PRESTIGIOUS WHITEFISH CHAIN. HOME FEATURES VAULTED CEILINGS, WOOD FLOORS, LOG BEAMS, FIREPLACE, SPECTACULAR . . .
BEAUTIFUL 5 BED, 4 BATH HOME ON THE WHITEFISH CHAIN IN PINE RIVER. YOU WILL LOVE THIS 2 YEAR OLD HOME WITH OVER 3,700 SQUARE FEET FEATURING AN OPEN FLOOR PLAN, . . .
NEAT, CLEAN 3 BEDROOM, 3 BATHROOM LAKE HOME OVERLOOKING 750 FEET OF RUSH LAKE SHORELINE! PROPERTY CONSISTS OF 3 SEPARATE LOTS OF RECORD WHICH WOULD POTENTIALLY . . . VERY PRIVATE SETTING WITH UP NORTH INTERIOR DETAILS. THREE BEDROOMS, THREE BATHS, VAULTED CEILINGS, KNOTTY PINE INTERIOR, GRANITE KITCHEN TOPS, THREE SEASON . . .
RETREAT TO THIS 4 BEDROOM 3 BATH HOME SITUATED ON 130 FT OF FRONTAGE ON CLAMSHELL LAKE. PRIVATE 1.48 ACRE LOT IS NESTLED ON A QUIET BAY UNDER A MATURE STAND OF . . .
LIVE THE NORTHERN MINNESOTA LAKE LIFESTYLE AT THIS CHARMING 4 BEDROOM 4 BATHROOM CABIN SITUATED ON 158 FT OF SAND FRONTAGE ON WHITEFISH LAKE. WHEN YOU CROSS . . .
AN OPPORTUNITY TO OWN THIS ONE OF A KIND RICH COUNTRY SETTING. HOME IS ON 92 ACRES; A COMBINATION OF BOTH WOODED LAND &AMP;AMP; OPEN MEADOW, PLUS A 2.3 ACRE . 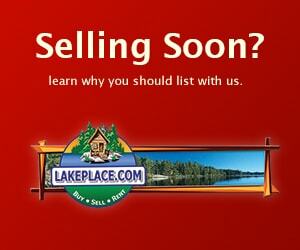 . .
LIMITLESS POTENTIAL WITH EXISTING RESORT OFFERED FOR SALE ON LOWER WHITEFISH LAKE. CONTINUE TO USE AS FAMILY RETREAT, INCOME PROPERTY OR BUILD YOUR VERY OWN . . . COMPLETELY RENOVATED WFC LAKE HOME WITH 100 FEET OF PERFECT, LEVEL ELEVATION AND HARD SAND BOTTOM. 3 BEDROOMS, 2 BATHS. MASTER SUITE ON THE MAIN LEVEL, OPEN . . .
RETREAT TO THIS 3 BEDROOM 2 BATH HOME WHICH HAS 100 FT OF SAND FRONTAGE ON LITTLE PINE LAKE. SOUTH FACING MANICURED LOT BOASTS LOW ELEVATION, SAND BEACH, PAVER . . .
RETREAT TO THIS PRIVATE 2 BEDROOM 3 BATH TOWN HOME SITUATED IN THE PRESTIGIOUS LAKE COUNTRY ASSOCIATION ON WHITEFISH LAKE. ASSOCIATION SHARES 900 FEET OF . . . BUILD YOUR DREAM LAKE HOME ON THIS PRIVATE SECLUDED LOT WHICH HAS AN OVERSIZED BUILDING SITE AND 311 FT OF SANDY FRONTAGE ON WHITEFISH LAKE. THIS BEAUTIFUL LOT . . .
BEAUTIFUL LOG CHALET STYLE HOME ON 5 ACRES OF THE WHITEFISH CHAIN. 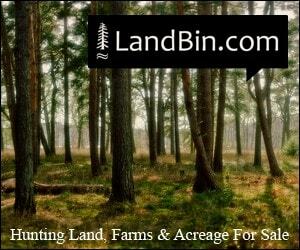 ADDITIONAL 12A WOODED &AMP;AMP; 15A HAY FIELD AVAILABLE. IMAGINE 32 ACRES WITH HORSES ON THE . . . COMFORTABLE, CLEAN AND VERY WELL MAINTAINED 3 BEDROOM 3 BATH HOME FEATURES MAIN FLOOR/LAKESIDE MASTER BEDROOM SUITE, 2 FIREPLACES AND A BAR/KITCHENETTE AND . . .
RETREAT TO THIS ONE OF A KIND 3 BEDROOM 2 BATHROOM HOME SITUATED ON EXCELLENT SAND FRONTAGE ON WHITEFISH LAKE. WELL-APPOINTED HOME HAS BEEN COMPLETELY . . . ENJOY MAINTENANCE FREE LAKE LIVING AT THIS FOUR BEDROOM THREE BATHROOM EAST SHORE TOWNHOME SITUATED ON CROSS LAKE ON THE FAMOUS WHITEFISH CHAIN. FEATURES OF . . .
ISLAND LIVING RIGHT HERE IN THE LAKES AREA! LOCATED ON THE BEAUTIFUL WHITEFISH CHAIN OF LAKES YOU'LL FIND YOUR OWN PIECE OF HEAVEN WITH EASY PRIVATE ACCESS AND . . . ENJOY MAINTENANCE FREE LAKE LIVING AT THIS 3 BEDROOM 3 BATH EAST SHORE LANDING TOWNHOME ON CROSS LAKE. THIS IS ONE OF THE NICEST TOWNHOMES IN THE DEVELOPMENT . . .
MUST SEE WHITEFISH CHAIN HOME ON RUSH LAKE FEATURING PERFECT LEVEL ELEVATION AND .89 ACRES WITH 100 FEET OF SANDY SHORELINE. YOU WILL LOVE THIS UPDATED . . .
GET AWAY FROM IT ALL AND RETREAT TO THIS THREE BEDROOM TWO BATHROOM LOG SIDED DAGGETT LAKE COTTAGE LOCATED ON THE FAMOUS WHITEFISH CHAIN. PRIVATE LOT IS . . .
RETREAT FROM THE MODERN WORLD TO THIS 3 BEDROOM 3 BATH RUSH LAKE HOME SITUATED ON 230 FT OF SAND FRONTAGE ON A PENINSULA LOT ON THE FAMOUS WHITEFISH CHAIN. SIT . . .
3 BEDROOM 3 BATH TWIN HOME. OPEN FLOORPLAN, STONE GAS FIREPLACE, MAIN FLOOR MASTER AND LAUNDRY. UPPER LEVEL LOFT CAN BE USED AS 3 BEDROOM OR BONUS ROOM. . . . THIS PROPERTY IS MOVE IN READY WITH 3 BEDROOMS 2 BATHS. THE HOME WAS COMPLETELY UPDATED IN 2007 WITH GRANITE COUNTER TOPS, HICKORY CABINETS, APPLIANCES, . . . HERE IS AN EXCITING OPPORTUNITY TO OWN 26 ACRES ON A 200 FT CHANNEL LEADING OUT TO THE GORGEOUS WHITEFISH CHAIN. THIS PROPERTY FEATURES A WELL-MAINTAINED 1300+ . . .
26 BEAUTIFUL ACRES WITH 200 FEET OF FRONTAGE ON DELTA BAY. GREAT CHANNEL ACCESS TO WHITEFISH. THIS LAND HAS A 18X60 MANUFACTURED HOME ON IT, 5 SHEDS, WELL . . . BUILD YOUR DREAM HOME ON THIS 100 FRONT FOOT LOT WITH MATURE TREES! ENJOY BOATING, FISHING, SWIMMING AND ALL THAT THE WHITEFISH CHAIN HAS TO OFFER. UPPER . . .
RETREAT FROM THE MODERN WORLD TO THIS LITTLE PINE LAKE PROPERTY ON THE WHITEFISH CHAIN. LOT CONSISTS OF 3.26 ACRES WITH THREE OF THE ACRES LOCATED RIGHT ACROSS . . . BUILD YOUR DREAM LAKE HOME ON THIS PINE STUDDED LOT WHICH HAS 100 FEET OF EXCELLENT SAND FRONTAGE ON LOWER WHITEFISH LAKE. THIS HIGH ELEVATION LOT BOASTS . . . BUILD YOUR DREAM LAKE HOME ON THIS PINE STUDDED LOT WHICH HAS 100 FEET OF EXCELLENT SAND FRONTAGE ON LOWER WHITEFISH LAKE. HIGH ELEVATION LOT BOASTS PANORAMIC . . .
ONE OF ONLY THREE REMAINING UNDERDEVELOPED LAKE LOTS LEFT ON CLAMSHELL LAKE OF THE BEAUTIFUL AND PRESTIGIOUS WHITEFISH CHAIN, IN THE HEART OF MINNESOTA'S . . . RUSH LAKE ON THE WHITEFISH CHAIN! QUALITY BUILT 2 BEDROOM, 2 BATHROOM HOME WITH VAULTED CEILINGS THAT INCLUDES 15 FEET OF DEEDED ACCESS TO RUSH LAKE. HOME HAS . . .
TO BE BUILT EAST SHORE LANDING ALL ON ONE LEVEL OPEN FLOORPLAN 2 BEDROOM 2 BATH HOME. KITCHEN HAS GRANITE COUNTERTOP STAINLESS STEEL APPLIANCES. UPGRADES ARE . . .
RETREAT TO THIS 2 BEDROOM 2 BATH DAGGETT BROOK CONDO SITUATED ON CROSS LAKE. 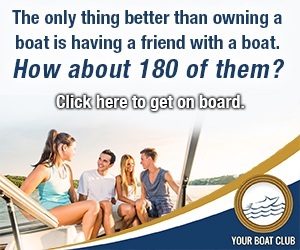 ENJOY MAINTENANCE FREE LAKE LIVING, PRIVATE BOAT SLIP AND 1400 FT OF SHARED SAND . . .
WAKE UP TO SUNRISE ACROSS SEVEN MILES OF WATER AND INCREDIBLE VIEWS. TOWERING PINES AND LEVEL ELEVATION IN QUIET NEIGHBORHOOD ON THE WEST END OF WHITEFISH. . . . CUSTOM BUILT 3 BEDROOM 2 BATH HOME WITH DEEDED ACCESS ON CROSS LAKE WITH A DOCK. HOME FEATURES VAULTED CEILINGS, LOFT, KNOTTY PINE INTERIOR, PATIO, DECK, . . . ESCAPE FROM THE MODERN WORLD ANYTIME OF THE YEAR TO THIS 2 BEDROOM 2 BATHROOM DAGGETT BROOK CONDO SITUATED ON CROSS LAKE! ENJOY MAINTENANCE FREE LAKE LIVING, A . . . BUILD YOUR LAKE HOME ON THIS PRIVATE SETTING ON THE FAMOUS WHITEFISH CHAIN. ENJOY PERFECT ELEVATION TO THE LAKE ALONG WITH A LOT THAT IS STUDDED WITH HUGE . . . WELCOME TO YOUR HOME AWAY FROM HOME WITH 63 FT OF FRONTAGE ON RUSH LAKE! THIS CABIN FEATURES 2 BEDS, 2 BATHS, KNOTTY PINE ACCENTS, HARDWOOD FLOORS, AND A 54' . . .
NICE CENTRALLY LOCATED WHITEFISH CHAIN BUILDING SITE ON RUSH LAKE WITH WALKOUT POSSIBILITIES. THIS IS A LEVEL LOT WITH GENTLE ELEVATION TO THE LAKE. IT FACES . . .
RETREAT TO THIS DAGGETT BROOK VILLAS ASSOCIATION CONDO WHICH HAS THAT UP-NORTH COZY CABIN FEEL YOU HAVE BEEN LOOKING FOR. ENJOY MAINTENANCE FREE LIVING, 2 . . . BUILD A BEAUTIFUL WALKOUT HOME ON THIS BERTHA LAKE LOT WHICH HAS 107 FT OF FRONTAGE ON A PRIVATE BAY. LOT IS STUDDED WITH BIG MAJESTIC PINES AND OFFERS . . . BUILD A BEAUTIFUL WALKOUT HOME ON THIS BERTHA LAKE LOT WHICH HAS 103 FT OF FRONTAGE ON A PRIVATE BAY. LOT IS STUDDED WITH BIG MAJESTIC PINES AND OFFERS . . . BUILD A BEAUTIFUL WALKOUT HOME ON THIS BERTHA LAKE LOT WHICH HAS 108 FT OF FRONTAGE ON A PRIVATE BAY. LOT IS STUDDED WITH BIG MAJESTIC PINES AND OFFERS . . . CUSTOM BUILT 2010 BEAR COUNTY LOFT UNIT WITH BEAUTIFUL VIEWS OF LITTLE PINE LAKE. THE UNIT SLEEPS 8-10 COMFORTABLE AND HAS MANY UPGRADES (SEE SUPPLEMENT). IT . . . THE PERFECT WAY TO BE ON THE WHITEFISH CHAIN WITH YOUR OWN DOCK SLIP AND A HUGE 3.9 ACRE PRIVATE LOT IN THE HEART OF CROSSLAKE. THIS BEAUTIFULLY WOODED . . . MATURE NORWAY PINES FRAME THIS LOW ELEVATION LOT WHICH HAS 100 FT OF FRONTAGE ON WHITEFISH LAKE ON THE SOUGHT AFTER WHITEFISH CHAIN. LOT IS LOCATED IN A QUIET . . . MOTIVATED SELLER! BEAUTIFUL LOT WITH ACCESS TO RUSH LAKE, THIS PROPERTY HAS 115 FT OF SHORELINE ON ARLA'S POND. NICE AREA AND LARGE LOT FOR YOUR NEW HOME. . . .
BEAUTIFUL LOT ON GAME REFUGE. WATER VIEW- (NO WATERFRONT ACCESS) ON LITTLE PINE. THE EAST SIDE OF COUNTY ROAD 3 - ABUTTS TAX FORFEITED LAND-WHICH IS . . .
1998 LEISURE PARK MODEL ON A LARGE LOT! ENJOY ALL OF THE AMENITIES THAT WILDERNESS PARK HAS TO OFFER, INCLUDING SWIMMING POOL, TENNIS, VOLLEYBALL, ON SITE BOAT . . .
OWN THIS WOODED OLD LOG LANDING ASSOCIATION LOT WHICH PROVIDES ACCESS TO CROSS LAKE OF THE FAMOUS WHITEFISH CHAIN. YOU WILL LOVE THE GREAT LOCATION AS IT IS . . .
AN AFFORDABLE WAY TO ENJOY THE WHITEFISH CHAIN. NICE NEIGHBORHOOD OF NEWER HOMES AND TAR STREETS, LEVEL &AMP;AMP; WOODED. LAKE ACCESS BUILDING &AMP;AMP; . . .
Related Real Estate Listings .. The Whitefish Chain of Lakes is actually a series of fourteen different lakes that are all connected and located near the cities of Crosslake, Pequot Lakes and Pine River in Crow Wing County, Minnesota. Finding the perfect piece of real estate to construct a lakefront home can be challenging. There are countless factors to consider, some of which may be more obvious than others. One of the first things you must do is to identify a general area where you may wish to build or buy your next vacation home. Across the United States, there are literally countless options of regions with beautiful lakes and streams; hands down though, Minnesota is one of the best. With its temperate summer climate, people come to Minnesota to escape the beastly summer heat of other locations. It's still hot enough to frolic in one of the many lakes and streams of the region, but not so hot as to make camping outside miserable. Nights are cool. Days are warm. Absolutely perfect for a summer respite. In spring and fall, the temperatures are cool, to be sure, but perfect for hunting, fishing and hiking through the wilderness. The climate isn't the only reason to venture to Minnesota - there is a reason it's called the 'Land of 10,000 Lakes.' Around every bend and turn lies yet another beautiful, still, clear, cool Minnesotan Lake just waiting to be explored. Some of the lake systems are even linked together, creating chains of lakes through the heart of the countryside. The Whitefish Chain of Lakes region located just north of the Brainerd-Baxter area of Minnesota in Crosslake, MN. Locating a vacation home on one of these lakes allows unparalleled access to numerous other lakes and bodies of water. The Whitefish Chain of Lakes incorporates fourteen separate lakes and is situated between the communities of Pequot Lakes, Pine River and Crosslake. Just south of the Whitefish Chain is the Ossawinnamakee Chain of Lakes, allowing access to seven additionally spectacular Minnesotan lakes tucked between Whitefish and Pelican Lakes. The Whitefish Chain of Lakes region is home to at least twenty different golf courses. There are lovely dining establishments of all shapes and sizes. The shopping, including hard-to-find antiques is exquisite. Families will delight in attractions such as horseback riding, museums, miniature golf, and parks. Not to mention, the outdoor recreation here including fishing, swimming and boating opportunities is unrivaled. The famous 'Rails to Trails' project known as the Paul Bunyan Trail and the National Paul Bunyan Scenic Byway are here in the Whitefish Chain of Lakes region. If you are looking for an exciting destination to experience year after year, the Whitefish Chain certainly is a great choice. Regardless of where you choose to purchase or construct a vacation home, give careful consideration to the amenities and attractions available in the local area. Once you have identified a general location, it is important to narrow your decision. Would you rather live near town or in a relatively isolated spot? Is it important that you have a single-family home or are you open to the idea of a condominium complex near the water? No matter what type of specific location you may be seeking, Minnesotan destinations such as the Whitefish Chain of Lakes are sure to offer plenty of options to suit your needs. If you are looking to purchase a pre-existing property, consider the size of the property you might need to accommodate your travelling party. Will a small cabin suffice or do you want something larger? Will you be renting the property out to others when you are not using it and if so, are there characteristics that may make it more appealing to prospective renters? Are you looking for a property that is ready to move in, or are you interested in putting in a little elbow grease to truly make the property your own? You will also want to consider the amenities that you want most in a home. In and around the Whitefish Chain of Lakes, there are gorgeous lake properties with an array of possibilities, sure to meet your every need and whim. If constructing your own lake home is the direction you choose, carefully choosing the perfect real estate is critical. Consider the view, the neighbors, area wildlife and property's location in relation to traffic and other area hotspots. Price may be a factor, as well, depending on your budget. Constructing your own log home or timber frame home can be more expensive than purchasing a pre-existing property as these sorts of plans often run over budget. That being said, planning and building your own dream home allow you to truly design your own vision. So, if you have ever considered the possibilities of a log home or timber frame home, give careful thought to your plans. And, if you are undecided about location, why not give the Whitefish Chain of Lakes in northern Minnesota a second look? This truly extraordinary region features natural beauty, outstanding recreation and welcoming small towns; a perfect destination for vacations year after year. For fishing, boating and relaxation, there is perhaps no better spot on earth than the Whitefish Chain of Lakes located in the famous Brainerd Lakes - Crosslake area of northern Minnesota. In total, the Whitefish Chain is comprised of fourteen separate lakes, all brimming with walleye, perch, smallmouth bass, largemouth bass, bluegill, bowfin, shiner, red horse, sunfish, crappie and northern pike. Some of the lakes in the Whitefish Chain include Arrowhead lake, Bertha lake, Big Trout lake, Clamshell lake, Cross lake, Daggett lake, Hen lake, Island lake, Little Pine lake, Lower Hay lake, Lower Whitefish lake, Pig lake, Rush lake and Upper Whitefish lake. Whitefish Lake, the largest in the Whitefish Chain, is 7,370 acres in size. In total the Whitefish Chain spans 14,000 acres with a maximum depth of 140 feet. The closest town is Crosslake, Minnesota but the communities of Pequot Lakes and Pine River are also easily accessible. If you are looking for peace and undisturbed solitude amidst quiet beauty, the Whitefish Chain is the ideal vacation destination for you. Families visiting the Whitefish Chain region will delight in the wide variety of amusement possibilities. Go-karts, horseback riding, and hot rodding all provide excellent diversions for young and old alike. Challenge your kids to a game of miniature golf at the Whistling Wolf miniature golf course. Golf aficionados will enjoy the sprawling golf courses of this scenic region, including the world class Whitefish Golf Club located in nearby Pequot Lakes. Even golfing novices can sign up to take a lesson or two on the greens of this splendid, legendary course. Exploring museums, such as Crosslake's Historic Log Village or Brainerd's Crow Wing County Historical Society and Museum, allows visitors to gain a deeper insight and understanding into the rich cultural background of both the Native Americans and the settlers of the north-central Minnesota region. Local towns such as Pine River, Crosslake and Pequot Lakes offer a wide variety of gift and antique shops with unique, one-of-a-kind merchandise. For evening entertainment, be sure to check out the numerous nightclubs, casinos and picturesque taverns of the local towns and communities. With the untouched landscape, the Whitefish Chain is an ideal spot for hiking, boating, fishing, bird watching, hunting, snowmobiling, skiing and biking. In spring, arrange a canoe or rafting trip down the Pine River. While exploring the beauty of the forests, lakes and streams, you may even be able to catch a glimpse of wildlife such as white-tailed deer, eagles, ospreys, otters, peregrine falcons, wild turkeys and even coyotes. Throughout the spring, summer and fall months, a kaleidoscope of wildflowers bloom along the paths and streams of the rolling countryside. In autumn, the leafy display of changing colors is amazingly rich and vivid. Winter is also a surprisingly delightful time to explore the wilderness of this region. Visitors can snowmobile, ice fish and cross country ski through the pristine winter landscape before returning to their cozy resort or cabin for a cup of hot cocoa. Some resorts even feature winter retreat package deals complete with amenities such as horse-drawn sleigh rides through the woods, indoor pools, hot tubs, hunting expeditions, ice fishing assistance or nightly roaring bonfires. The town of Crosslake is also home to a wide variety of family festivals and events throughout the year. When visiting the Whitefish Chain of Lakes region in late summer, be sure to check out Crosslake Days. This celebration of late summer/early autumn in north-central Minnesota is complete with a highly competitive chili cook-off, a classic car show, costume contests, softball tournaments and special discounts at the quaint gift shops and antique stores lining the streets of Crosslake. For nostalgic, old-fashioned fun, Crosslake Days cannot be beat! For a unique and truly memorable winter experience, plan to visit the Whitefish Chain during the weekend of Winter Fest, running from the end of January through the beginning of February in Crosslake. On Friday evening, Winter Fest is opened with a dramatic fireworks display. Saturday and Sunday events include a pancake breakfast, snowmobile rides for the kids, ice bowling, dog sled races and even daring car races on frozen lakes. With so much snowy fun, Winter Fest is sure to create wonderful winter memories in the Whitefish Chain area for you and your family this year. Tent camping and RV sites are numerous and reasonable throughout the Whitefish Chain of Lakes area, offering travelers the opportunity to commune most directly with the scenic beauty of the Minnesota landscape. Luxurious resorts and beautiful vacation homes are also prime places to stay during your trip to The Chain. Cabins and vacation homes are often available for weekly rentals, monthly rentals or even time-share arrangements. Who knows? You may even find the perfect lake-front vacation home to purchase during your stay in this magnificent area. Instead of spending your vacation at a crowded tourist trap, consider a visit to the Whitefish Chain of Lakes in Minnesota. You will leave feeling refreshed and rejuvenated by the glorious natural surroundings and the relaxed, leisurely pace of life in the "Land of 10,000 Lakes." If you have ever cringed at the thought of planning your next family trip to Disney World, Gatlinburg or other kitschy tourist traps, perhaps a change is in order. Northern Minnesota is a region as wild as it is beautiful. Crystal, clear lakes; pine forests and wildlife abound in this amazing countryside. While you are unlikely to find the tallest roller coaster or the newest mega mall, you are sure to have a relaxing, peaceful vacation unlike anything you have ever experienced. If you are considering a trip, or even the possibility of ultimately relocating to this extraordinary region, be sure to check out one of the outstanding resorts and cabin rentals located in area in and around the Whitefish Chain of Lakes. Featuring an array of amenities to suit every budget and need, these resorts in and around Pine River, Pequot Lakes and Crosslake provide an excellent base from which to explore the lakes, forests and streams of Northwoods of Minnesota. Visitors to northern Minnesota are sure to enjoy their time here in any of these wonderful resort properties. If you are looking for the perfect spot for a weekend, a week or a month, consider planning your next family vacation to the great Northwoods of Minnesota! If you are thinking about purchasing real estate on the chain - we can recommend any of these great places to stay while you are getting to know the area. Birch Lake Resort of Pine River, Minnesota: Nestled on the shores of the 100 acre Horseshoe Lake, the Birch Lane Resort is a secluded retreat just outside of Pine River, Minnesota. Birch Lane Resort is comprised of multiple cabin-style homes in a variety of sizes, sure to suit the needs of any travelling party. Some of the cabins even feature amenities such as screened-in porches, decks and fireplaces. An on-site sauna and fitness center allow guests to keep up with their fitness regimens during their time here in the Minnesota Northwoods. For those interested in boating and aquatic pastimes, the resort has motorboats and a large pontoon with a canopy available for use of resort guests. Fishing here is excellent as the lake is plentifully stocked with panfish, northern, largemouth and smallmouth bass. Black Pine Beach Resort of Pequot Lakes, Minnesota: A mere fifteen minutes south of Pine River lies the picturesque Black Pine Beach Resort in Pequot Lakes. With easy access to the splendid Whitefish Chain of Lakes, Pequot Lakes is an ideal spot for a family getaway. With knotty pine interiors, the one, two or three bedroom cabins here offer a welcoming respite from the pressures of everyday life. Sit back and enjoy the pine scented air as the sunlight dances across the water of the lake, or enjoy a roaring bonfire under the stars. Cabins here are comfortably equipped with bathrooms, fully equipped kitchens and many other comforts of home. Beacon Shores Resort of Crosslake, Minnesota: Two hours north of the Twin Cities, the Beacon Shores Resort on Whitefish Lake is comprised of cabins in a variety of sizes to suit your travelling parties' needs. The cabins and townhomes here all come furnished with fully-equipped kitchens and other amenities to suit the needs of every individual or family. Bed linens are provided. Fishing and boating are favored pastimes here on the calm waters of Pelican Lake. Located near extensive cross country skiing and snow-mobiling trails, the Beacon Shores Resort of Crosslake is a particularly good choice for folks looking to enjoy snowy, winter pastimes in the pristine old-world forests. 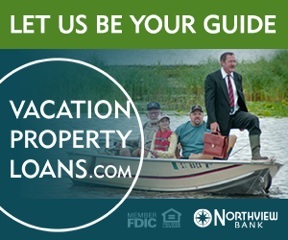 As your guides to the Whitefish Chain of Lakes, the real estate experts at LakePlace.com have put together this handy little visitor guide to make your visit and/or relocation a little bit easier. We hope it helps!